How often should Blizzard add new heroes to Overwatch and Heroes of the Storm? When it comes to releasing new heroes, both Overwatch and Heroes of the Storm follow very different release cycles. Both, however, also tend to stick to their respective release cycles. For Heroes of the Storm, that usually means a new hero every three-to-four weeks. For Overwatch, it has thus far been roughly every four months. 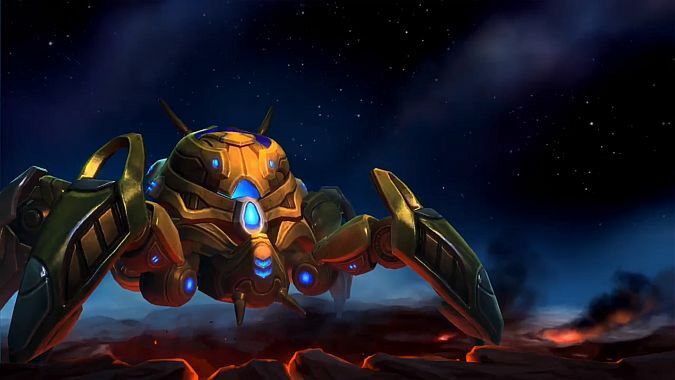 With today’s Heroes of the Storm patch, though, Fenix marks the first hero to significantly diverge from the usual HotS release cycle. Maiev came out the first week of February, whereas Fenix is coming out the last week of March — essentially, Blizzard skipped an entire hero release. Meanwhile, Brigitte has been in Overwatch for a week, and reception to her has been incredibly positive. So positive, in fact, that it seems players are wondering what other sort of “hybrid” heroes Blizzard could add to the game. But with the existing release cycle, we may have to wait until July to find our answer. All in all, it’s gotten me thinking about how often these two games release new heroes and if those schedules fit their respective games, or if they could use adjusting. Obviously, Heroes should have a faster release cycle than Overwatch — that’s pretty much a given. But could each game learn from the other? On the one hand, it’s interesting to watch the Heroes meta constantly adjust to new heroes on a regular basis. On the other, it can be hard to keep up with a meta that changes so often. Similarly, a faster release schedule can sometimes mean more and more bugs accumulate with not as much time to fix them for every hero. Hanzo notoriously had a movement bug that stuck around for over a month after his release, despite multiple hero releases in that time. From a balance perspective, I think four months fits Overwatch pretty well. But from my own perspective, I’d love to see a hero slightly more often. For HotS, four or five weeks would be my ideal, I think. How about you? Do you like the current HotS and Overwatch release schedules, or would you like to see them changed? If so, in what ways?